Ben: The Eastick family have been in the sugar industry since 1880, so quite a long time. The two brothers, John and Charles Eastick ran an analytical research laboratory in London and at the time there were over 300 sugar refineries in the UK alone. A lot of them where attached to breweries. But, two years on, in 1882, they were invited by Abram Lyle to set up a lab at his new refinery, and a year later in 1883 Charles formulated the recipe for Lyle’s Golden Syrup. So, the family has worked in the sugars quite a long time. I started out in the brewing industry working for W. H. Brakspear & Sons PLC in 1988, before joining Ragus full time in 1991. Tell me a bit about Ragus? Ben: In a snapshot, two brothers left Lyles in 1889, John went to start Australia’s largest sugar refinery, Bundaberg and the younger brother Charles, went onto Martineau’s which was then the UK’s second largest white sugar producer. He then spotted a market for speciality sugars for the bakery, brewery and confectionery markets and started in 1928 a factory on the then new Slough Trading Estate, that made inverted syrups, hence the name Ragus, which is sugar spelt backwards. We were a fairly small company at that stage and only produced inverted syrups. In 1961 Martineaus were brought out by Manbré & Garton (and subsequently Tate & Lyle in 1976) – and at that point the family owned half of the Martineaus business. Ragus started producing brown sugars in the seventies and became the last independent sugar manufacturer in the UK, a position we still hold today. We remained under the radar up until the 1990s. That was when sugar reforms gave us the chance to get bigger and have since then, grown and grown. UK Consumers Unfazed by Sugar Tax! In April 2018, the ‘Sugar Tax’ came into effect in the UK, in the hope of tackling childhood obesity. Public Health England imposed the Soft Drinks Industry Levy, which added tax onto sugary drinks, thus hiking up prices for manufacturers and consumers. Since, the ‘Sugar Tax’ has come into force, 50% of beverage manufacturers have actively been working to reduce the sugar content in their drink products. However, a recent report by global information and data measurement company Nielsen, reveals that the UK’s sugar tax is not as effective as the PHE would like to believe. The findings show that 62% of UK shoppers admit that the ‘Sugar Tax’, since its implementation, has not changed their consumption behaviour. Added to that, only one in five people check sugar content on packages more frequently than they did before April 2018. The findings come as a result from a Nielsen survey comparing the behaviour of consumers and shoppers both pre, and prior, to the Soft Drinks Industry Levy coming into force. Additional results show that 11% of shoppers, who initially planned to stop drinking sugary drinks prior to the tax, has now fallen, post-tax, to just 1%. Equally the number of shoppers who admitted they would continue to purchase drinks containing sugar has also risen post-tax, increasing from 31% at the beginning of 2018, to 44% in June. It isn’t just the drinks industry that is under constant scrutiny, last year manufacturers, retailers, cafes, restaurants, and pub chains were told to cut 5% of sugar by August 2017; this figure was to increase to 20% by 2020. However, Public Health England has said that the food industry failed to hit the suggested targets of cutting sugar by 5%; supermarkets and food manufacturers have only managed to cut out 2% within 12 months. 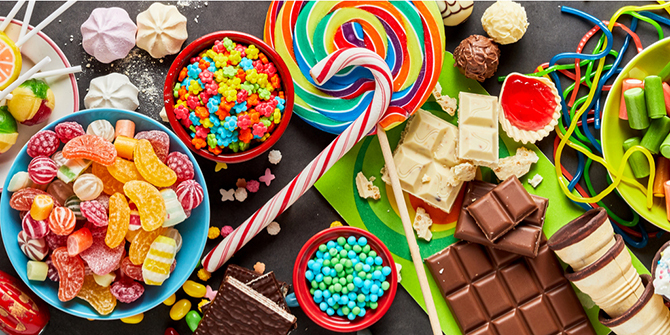 Ragus recognises the need for sugars in food and drink products and we specialise in supplying pure sugars as ingredients for many major food manufacturers; we also offer bespoke products to fulfil the individual needs of all our clients. 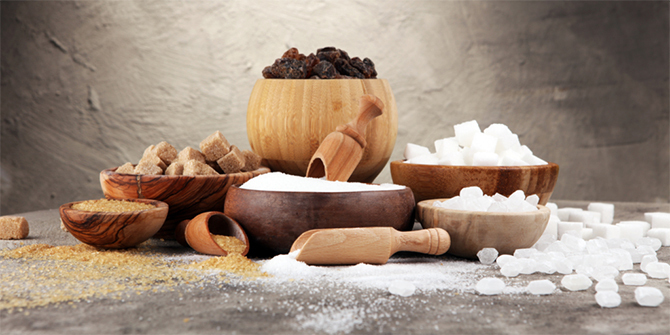 At Ragus we know there are so many reasons as to why sugars are needed in certain food and drink products. Not only is sugar important as it contributes to flavour when interacting with other ingredients, it also heightens flavour or depresses other overpowering flavours. Sugar is used as a way of colouring products; for example, crust browning in bread. Sugar also acts as an important tenderising agent in baked good, plus sugars help to extend the shelf life of food products. Thus, before food and drink manufacturers can reach the goals set out by the government, research and new technology, needs to be put into place so that the taste, texture and appearance of food and drink remains appealing to consumers. UK Bakery & Confectionery could be the next Sugar Tax Victims! In 2018 the food and drinks industry have taken a good bashing from the government, the media, celebrity chefs, Public Health England and various health campaigners in respect of the sugar content in products available on the market. 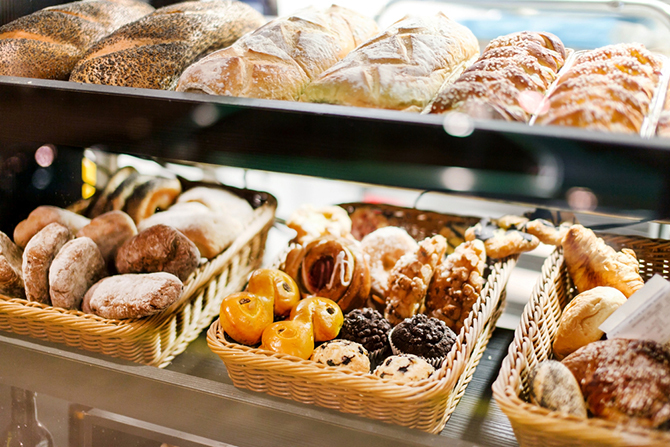 The argument will be ongoing for years to come with health organisations now wanting to introduce an Energy Density Levy on confectionery and bakery products, but what does this mean for consumers and manufacturers if the government agrees? Early this year, Action on Sugar and Action on Salt launched an evidence-based plan to help prevent obesity and other health problems, including type 2 diabetes, amongst children. Sweets and chocolate confectionery provide 10% of the total sugar in diets of children under the age of 10 and 11% in teenagers. The findings of this plan suggested that an energy density levy of 20% should be introduced on confectionery and bakery goods with an energy density higher than 275kcal per 100g. Manufacturers are under immense pressure to conform with these new enforcements, some have opted to introduce new brands containing no or minimal sugar, or to reduce portion sizes, while other companies have reformulated their existing beverages. When it comes to confectionery and baking, the good news, for now, is that these industries have narrowly missed their own regulation, even though Public Health England have introduced voluntary sugar targets for confectionery and baking manufacturers of achieving a 20% reduction in sugars by 2020. However, these targets are voluntary and not enforceable, so it’s up to the discretion of individual food and drink manufacturers if they decide to reduce sugars; even the UK Food & Drink Federation have said that the 20% reduction is unlikely to be met. Research by Oxford and Cambridge Universities and the London School of Hygiene and Tropical Medicine, revealed that by adding say 10% to the price of confectionary, cakes and biscuits could lead to a mere 7% drop in purchases. Economic evidence shows that consumers and shoppers respond to these tax enforcements in a variety of ways. Some people purchase cheaper supermarket own brands, others simply pay the higher prices and other people turn to different products which can equally be as energy-dense, but all in all research shows that consumers’ calorie consumption remains similar to what it was before the taxes were brought into effect. Christopher Snowden, the Head of Lifestyle Economics at the Institute for Economic Affairs suggests that shoppers tend to be “quite unresponsive to price hikes and do not significantly change their habits.” The taxes on food and drink merely prompt criticism from the ordinary consumer and unfortunately, the only group really affected by the hike in prices are the poorest people in our society. Other European countries have tried enforcing sugar taxes on food and drink products, but to little effect. In 2011, the Danish government implemented a universal tax on fat, but the policy was abolished by 2013 as shoppers either absorbed the extra costs by making savings elsewhere in their lives, or they started doing their shopping internationally. Here at Ragus we are continuously working with our clients to adapt to their manufacturing needs; creating bespoke pure sugar products where needed. We know that pure sugars are used within food and drink products, not just for their sweetening properties, but to also add taste, texture and appearance benefits, thus it takes time, technology and a lot of research before manufacturers can even begin to meet any of the targets set by the government and PHE. You are currently browsing the Ragus blog archives for September, 2018.